Uncovering things you might not know about your business. Market research, and more importantly, customer insights are extremely helpful in understanding what your business does well and not so well, comparatively in the market. Whether you’re a café owner looking for other avenues for income or a construction company looking to find out why customers are choosing the bloke across the road, getting to know your customers and their motivations can be an integral part of uncovering why your customers like what they like, or do what they do. At the end of the day, the customers are what define a business! Did I spend too much money for what I was getting? Was the quality of the product/service any good? Was the service up to scratch? Did I offer enough (or too much) choice? These are some of things that customers (also both you and I) objectively and subjectively use to judge whether or not we buy again from a business. But wait, that’s too hard. Honestly, it really can be daunting for a small business owner and it’s why we have devised a little cheat sheet on how you can get started without the hassle of not knowing what to do in the first place! We firmly believe that you don’t need complicated statistical software and algorithms to get started, on, what is traditionally, a very academic field of work, market research. Just sit down and use this example guideline to start on your journey of self-discovery. When starting for the first time, we encourage businesses to brainstorm what are the key criteria that your business’ life depends on. These are the things, when done collectively poorly, ruin a business and likewise, when done collectively well, flourish. All businesses usually sit within this spectrum. Here, we limit it to five criteria, so that there isn’t an overwhelming list our brains can’t handle. It also keeps our minds focused on what matters the most. While it’s not an exhaustive list, depending on the business, some criteria may be different. Say you’re a hairdresser and “on-time delivery” doesn’t apply, something else may be more relevant. Try and choose criteria that encompasses the entire business as a single unit to start, then you can branch off into examining other arms of the business once you’ve wrapped your head around the bigger picture. Once you’re done thinking about what areas of the business are important to its survival, now is the time to ask your existing customers to rank them 1-5 by importance to them when dealing with you, where 5 is most important and 1 is least important. Here, we’re looking to find out what your customers expect of you and determining what matters the most to them. For example, maybe a customer values your quality products (gave a score 5) but price isn’t what matters when buying from you (gave a score 2). There are countless insights you can gain from simply asking customers to rank the importance they place on certain aspects of your business. Using the same criteria you’ve decided on, ask follow-up questions on how you ACTUALLY perform in each of those areas. Customers will rate your performance on a scale 1-5, where 1 is poor, 3 is average and 5 is excellent. This will give you a more definitive health check on your business and find out where customers are and aren’t satisfied with your business. Use what you’re good at (competitive advantage) to boost your existing sales and marketing efforts. If your customers use more than one supplier for the same product/service, chances are they are thinking about how you weigh up against the competition! Part 3 | Recommendations anyone, please? As the icing on the cake, one could say, is the Net Promoter Score® (NPS®). 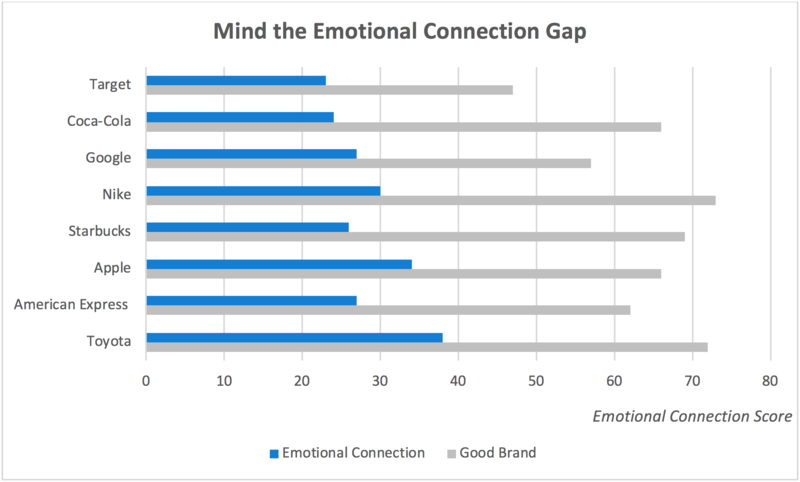 This is a simple yet effective metric you can use to see if customers will refer any business to the friends and colleagues (more business, YES!). There is formula on how to do it (you can Google it for those wondering) but we won’t get into that here (that’s for another post). Now you can really see how you’re doing with your customers. 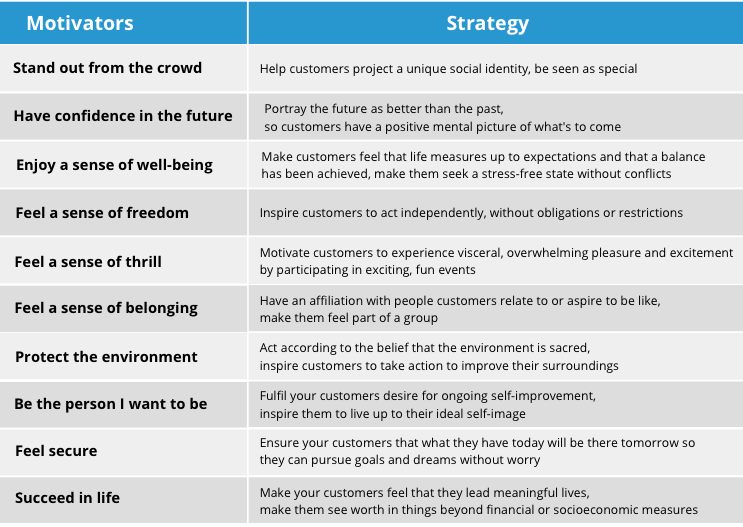 Work out how each of your criteria stacked up against the other criteria and map that against how you’re really doing with customers in reality. This should help identify areas of improvement at a glance as well as understanding how your customers’ expectations (Part 1: what’s important to them) are met with their current dealings with you (Part 2: your performance, Part 3: NPS®). Use this tool as an early warning system to flag down any potential problem areas before there’s irreparable damage: your customers go elsewhere! “So, what now?” I hear you think. We’ve got you covered. Let’s be real here, don’t let the ego get in the way. It’s what stops us from growing and understanding ourselves personally and professionally. Customers don’t like certain aspects of your business? Embrace it. Change it. Reach out with open arms and customers are more than likely to give you constructive feedback to improve on. When you sit down with your customers, just have a whole hearted and HONEST conversation about the current state of affairs. You are empowering them to help you provide a better product or service. Stay objectively connected with the business and start a process of continuous improvement. It’s a long-term investment (emotionally and financially) that pays off in the end. Happy customers, happy business (isn’t that how the saying goes?). PS. Now that you’ve made it this far, we’ve actually got the checklist for you here. Go get started and start making your customers’ voices heard! For any business, being able to retain customers is one thing but understanding why you weren’t able to conquer the ones that didn’t make the purchase is just as important. From my years of experience conducting market research, many companies seem to focus solely on business they do have (which is great) but forget about the sales they should have made but didn’t. I have devised a simple and practical, yet effective, do-it-yourself market research strategy which any business can implement in-house. It’s called the Win/Loss Analysis and forms the first chapter in our series, Market Research Made Easy (watch this space!). 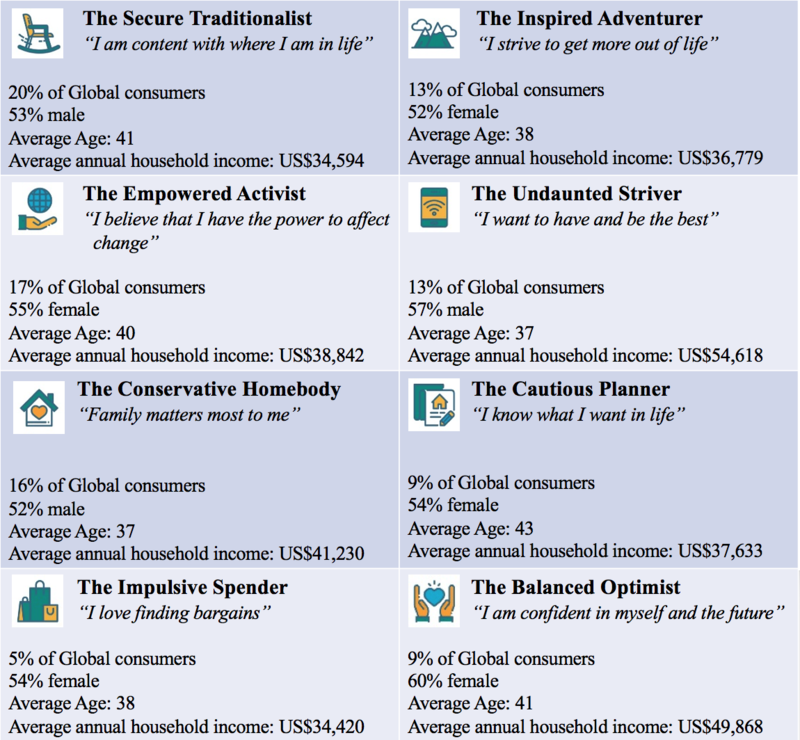 Understanding why customers didn’t choose you but someone else is central to this analysis. When you’re asking the ‘ones that got away’ as well as your usual customer base, you are essentially combining a competitor analysis, a customer satisfaction survey, your company’s own brand perception among your customers, and at the same time highlighting areas of the business which require much needed improvement. How did the idea of the “win/loss analysis” originate? After having worked with numerous clients over the years, we found ourselves talking to their customers about not only what worked well for them but also what didn’t work well for them. We then translated this into asking lost sales (i.e. people who obtained quotes or made an enquiry but didn’t proceed with a purchase) why we didn’t win their business. The analysis from these two groups then presents significant opportunities for companies to improve operations at all levels. It’s very simple: we needed to examine the differences between getting the sale (winning) and not getting the sale (losing). What are some of the key outcomes of the analysis? This process can pick up significant issues; for instance the importance of inventory control or a company’s ability to provide the right training to deliver their product or service, or any problems relating to the sales function such as quote turnaround times etc. Companies can also identify and communicate the how and what of their competitive advantage and unique selling proposition (USP). And, just as important, it can identify operational issues such as service protocols and make sure they match customers’ expectations. What are some the things to consider when doing your own Win/Loss Analysis? Don’t be afraid to ask your customers tough questions (e.g. what did we get wrong or what can we do better for you?). Make sure your questionnaires are consistent; it is important to use the same questionnaire for your customers so you can compare the results. You don’t have to ask many of your customers or lost sales; 10 in each group is usually enough. Make sure the questions are relevant to your customers and you are prepared to make changes based on those findings; good or bad. Let your customers know what changes you plan to implement in your company, product, or service offering in response to their answers. This can translate into more customer loyalty. Don’t let your ego get in the way; it’s not about you … it’s about your company and, importantly, your customers. Once the analysis is done, be sure to follow-up any changes and measure how effective those changes are with your customers. Do this over regular intervals. We have always been proponents for trade with our neighbours up north, the ASEAN Community, a name which was self-declared at the end of 2015. This help setup the ASEAN Economic Community which offers a framework for simplifying, standardising and facilitating economic trade activity between its member states. As the world’s third-most populous economy (637 million) in 2016, after China and India, it presents massive opportunities for Australian businesses to engage and embrace this rapidly growing region. While only making up 3.4 percent of the world’s GDP, its average annual growth in GDP in 2016 was 4.6 percent, higher than the world’s average of 3.2 percent for the same period. 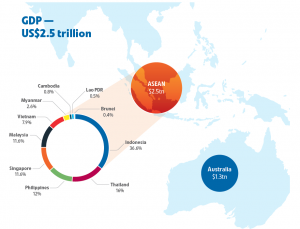 The ASEAN Community also represents the third largest economy (US$2.5tn, 2016), only following China (US$11.2tn, 2016) and Japan (US$4.9tn, 2016). ASEAN – GDP 2016 – Research by Design. Much closer in proximity than many of our other major trading partners, e.g. China, Japan, U.S.
Australia’s lifestyle, products and services have a reputation of being high quality and are widely recognised. Businesses should take advantage of this reputation by tailoring an Australian solution to a Southeast Asian problem. We all mutually benefit. ASEAN Now is a fantastic read for those who are not familiar with the region and a great top-up for those who are already familiar (click for PDF). Learn about how you harness the power of our neighbours. Don’t miss out.